The EdenChain founder/CEO James Ahn attended the Web World Conference 2018 and gave a lecture. Web World Conference 2018 is a venue to share knowledge, including Development, Web Service, Web Design, and Internet Marketing that are core to the Internet/Web domain. The event was hosted by Pluto Media, an on/offline knowledge and information medium. 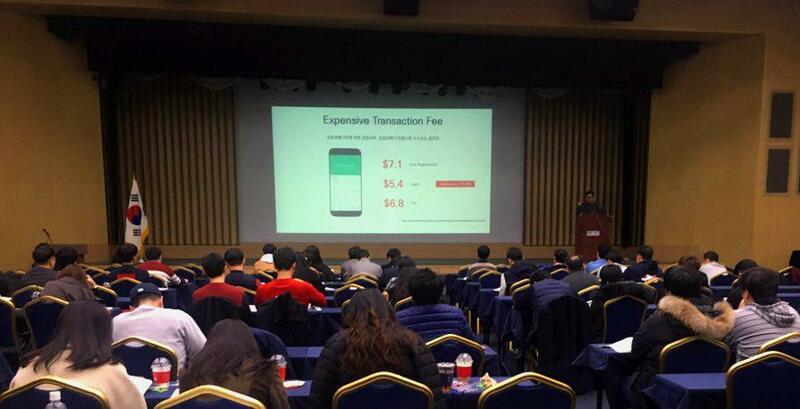 The event was held at the Korea Science and Technology Center for four days from November 20th. Speakers chosen from distinguished experts in each field were invited to share the latest trends, success stories, and to discuss future prospects. James was invited as an expert in web development strategy and gave a lecture on “Web Development Trends and 2019 Prospects in 2018 from the Viewpoint of BlockChain”. He discussed the major technical challenges of current blockchain technology, including processing speed and costs, and how to address these challenges. He also talked about the future prospects of blockchain technology, the activation of a blockchain ecosystem, and “killer” applications.